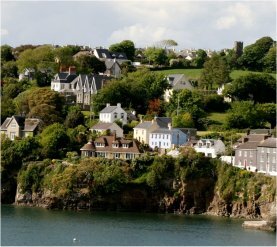 The IEEE International Conference on 3D System Integration (3D IC) was held in Kinsale, Cork, Ireland in December, 2014. 3D IC Technology: Through Silicon Vias (TSV), wafer thinning, wafer alignment, wafer bonding, wafer dicing, 3D IC process, monolithic 3D integration, heterogeneous 3D integration, Capacitive coupling, Inductive coupling, multilevel epitaxial growth, etc. 3D IC Circuits Technology: 3D SOC, 3D Memory, 3D Processor, 3D DSP, 3D FPGA, 3D RF and microwave/millimeter wave, 3D analog circuits, 3D Biomedical circuits etc. 3D Applications: imaging, memory, processors, communications, networking, wireless, biomedical etc. 3D Design Methodology: 3D CAD, 3D synthesis, 3D design flows, Signal and power integrity analysis and design in 3D, 3D thermal design and analysis, test and design for test; 3D mechanical stress and reliability design and analysis, etc.